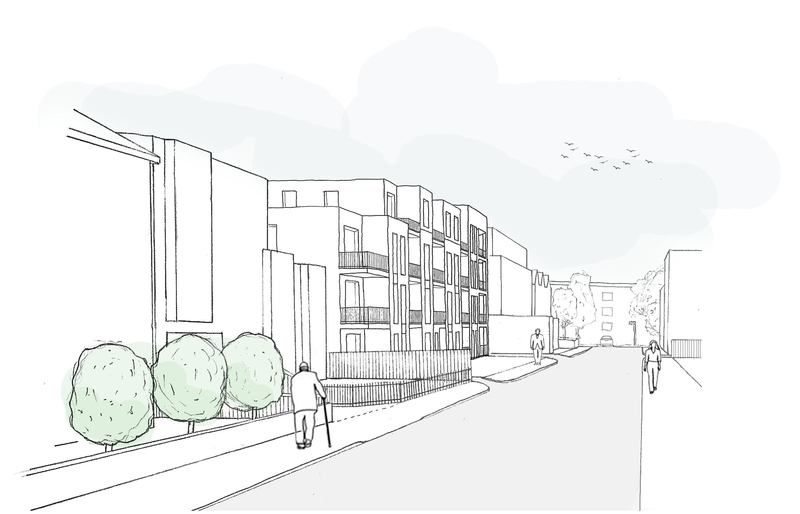 MDR are happy to announce that the full planning application for Dunheved Road (Thornton Heath) has been submitted. The proposed work consists of a new build residential block containing 35 apartments. The design for the scheme is a contemporary design solution of masonry, aluminium windows and metal balconies. MDR have used solid (building frontage) and void (balconies) to break the building massing down into component parts similar to the width of the adjacent existing houses.